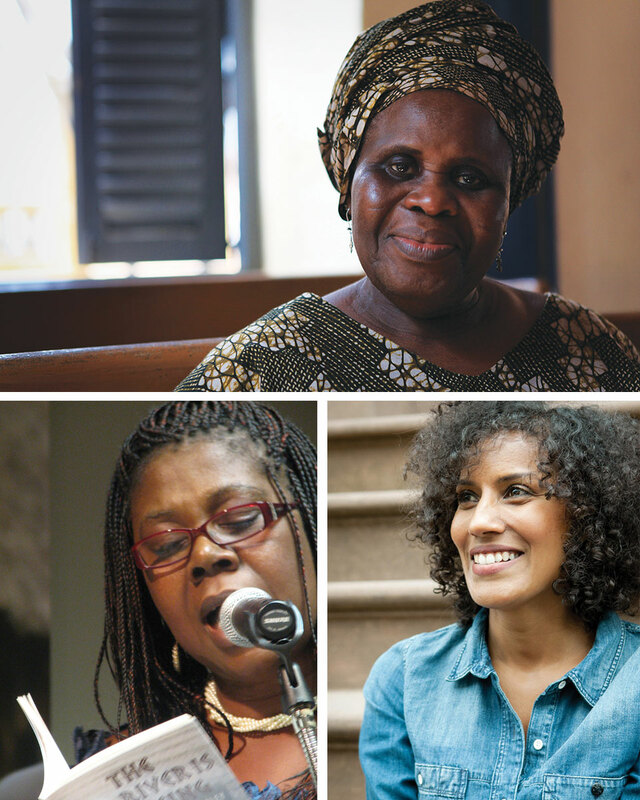 Taking stock of the African Poetry Book Fund’s project to bring contemporary African poetry into the fold of contemporary anglophone literature, Matthew Shenoda highlights the work of several African women poets who are changing the way we read and engage poetry in English. 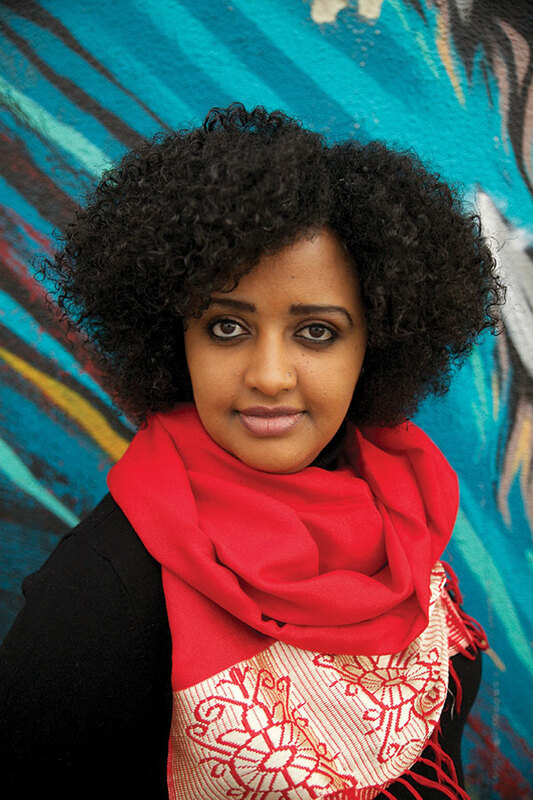 Over the last several years as a writer, reader, editor, and educator who teaches courses on global poetics, I have been deeply struck by the significant emergence of female poets with roots in Africa. While African fiction is widely known, poetry has been largely ignored, and the female voices, as is so often the case, have been poorly represented in publishing efforts. But in the quiet corners of the literary landscape, this group of women has been hard at work challenging and expanding our understanding of contemporary poetics. There is a new and inspiring wave of this work, and what is evident is that this incredible range of poetry coming from African women has been here for a long time, perhaps waiting for the world around them to catch up. And so I wish to focus here on one of the contexts that has helped bring this work into the world and, in the process, give the reader a brief dive into the poetry and poets themselves by highlighting a few of the critical voices in contemporary African women’s poetry. In 2012 a group of poets, writers, and thinkers, led by Kwame Dawes, decided we would embark on an idea that some of us had been toying with for some time. What we hoped to do was to bring contemporary African poetry into the fold of contemporary anglophone literature, and with our tentacles reaching worldwide, we would base these efforts in the United States. Along with Dawes and myself we teamed up with Chris Abani, Gabeba Baderoon, Bernardine Evaristo, and John Keene along with, more recently, Phillippa Yaa de Villiers and Aracelis Girmay, to form an internationally recognized editorial team that could speak to the breadth and significance of African poetry. We defined African as those born in Africa, those who are a national or resident of an African country, or those whose parent(s) are African. It was an idea that though somewhat audacious in scope was simple in concept. We would work to broaden the literary landscape and show the necessity of African poetry as a central agent in contemporary poetry. After all, when we talk about Africa and all of her diasporas, we are talking about a significant piece of the globe, a recognizable population. But the thing is this: at our core we wanted this idea, an idea straightforward in some ways, to be done in a considered and intentional manner, sustainable and with a global scope. What existed of contemporary African poetry in the English language before this effort were largely single volumes championed by individuals who had broken through in one way or another, editors who had taken interest in an individual book, but few things systemic had been done before and nothing that allowed for a sustained effort aimed at longevity. This is the new generation, insistent that Africa itself is a global and malleable concept, a small thread always sewn in the mind and heart of the sojourner. And so we established the African Poetry Book Fund (apbf). This umbrella organization became home to the African Poetry Book Series; we started a debut book contest (the annual Sillerman First Book Prize for African Poets); we created an annual chapbook box set of emerging African poets; we began publishing the collected works of iconic African poets and the midlist works of well-established poets; we, in partnership with poetry communities across the continent, established contemporary poetry libraries in Botswana, Gambia, Ghana, Kenya, and Uganda; we planted the seeds and began working on a digital humanities project that will highlight the breadth of contemporary African poetry worldwide; we laid the groundwork for a massive forthcoming anthology of contemporary African poetry; and, to date, have published nearly fifty African poets in internationally distributed and accessible books. And, I would argue, we have ever so slightly changed the face of contemporary anglophone poetry. We have complicated the landscape of contemporary American poetry, given rise to the way American and other readers have access to African poetics, and have created viable and rich transatlantic communities of poets that have begun a deeply nuanced and engaged conversation with one another and with their literary siblings the world over. To be clear, I am biased, but I am afforded that right. This is not a scholarly endeavor; this is a project of passionate advocacy, of a craft-centered engagement intended to show all that poetry has to offer, intended to highlight the critically missing works of so many, and it is timely in a moment when such advocacy and reminders of our multiplicity could not be more necessary. So, as I take stock of the work we have done over these last five years, I realize that we have made accessible the immense and significant works of so many contemporary poets both on the African continent and in its varied diasporas, and in that process we have specifically seen the cultivation of the female voice as an unquestionable barometer of the health and vibrancy of these poetic traditions. And so I wish to highlight here a group of anglophone African women poets, most of whom we have published, most of whom have lived or do live in some diasporic reality, all of whom are changing the way we read and engage poetry in English. Women who have cultivated their craft without bounds, borrowing and sharpening from every corner of the globe; trading on the stories of their own mothers, shaving at the verse of the canonical Europeans, building on the power of American poetry, challenging the language of the colonial and the patriarchal; our sisters who have dissolved the expectations set to limit them and have instead shown us a boundless verse. our festivals, fetes, and fiestas. find me a bead to carry my grief. something else could meet our needs. Please keep it there, even if it’s rare. In this poem we see the ways that Aidoo takes tradition and the sociocultural and spiritual practices that have existed for generations and centers them as the subject of her poetry. But perhaps more importantly, Aidoo takes the poetic tradition of much of modernist European poetry, the metrical and lyrical traditions, and renders it anew in an African context, and in many cases a particularly gendered context. 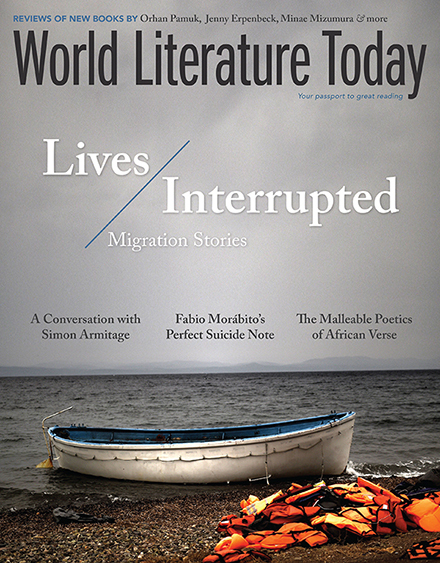 As an early forerunner in contemporary anglophone African poetry, her work became a critically important way to establish a global readership and make a space for the generations to come, to work in the anglophone traditions and continue to push their boundaries by recasting the form into a context that was at the time largely unknown in the West. A conversation had begun, even if uninitiated by the West, where African poets began to speak across the Atlantic and carve a space for themselves, despite the realities of history and power. held together like a rusty pin. Here we see how Wesley takes note of the lived realities and evolutions of civil war, of the subtle distinctions of what it means to be from a place completely transformed and ravaged by violence, and the lasting and personal invasions it causes. Emblematic of her aesthetic style, Wesley often pays attention to the ephemeral, the things both culturally symbolic and domestic, a line often blurred in many cultures. But what’s more is that she uses the framing set by the generations before her to create poetry that not only speaks to her realities as a Liberian woman and survivor of the civil war but a poetry that implicates her own grief, allowing her a fully humanized space on par with the works of anglophone writers from all over the world. In this vein Wesley, representative of a kind of “middle generation” between Aidoo and the emerging writers of today, helps break ground for a myriad of both content and style. This is a poetry destined to make us as readers whole, to tear asunder our misconceptions of what it means to be alive on this earth, in this moment as members of a continuum. But there is no mistaking laughter. 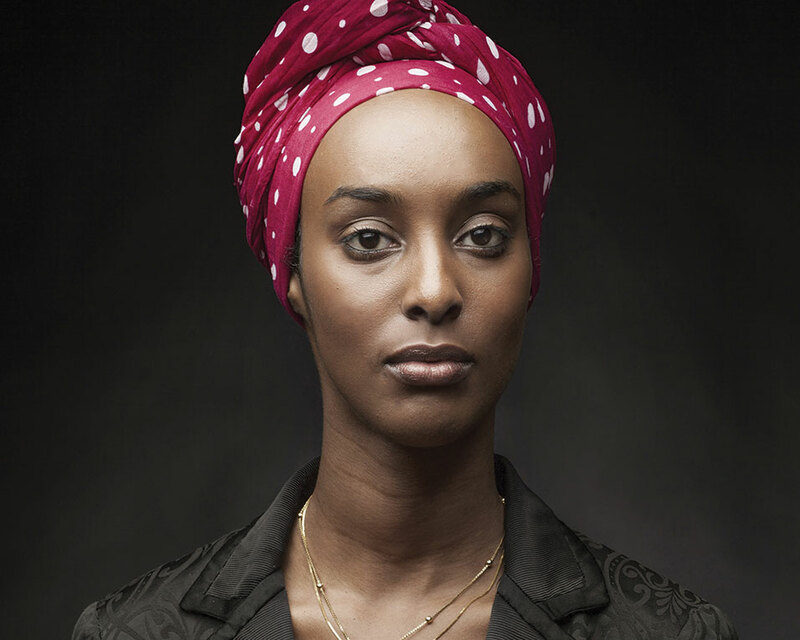 Ladan Osman. Photo by Tariq Tarey. They say women’s dreams stay indoors. These days I dream an ocean under the bed. I wake up and watch its tide. like the crows near oceans. I sit up in bed. I perch on the concrete sill. take running steps to land. and fallen right into it? a column, its froth a steady handhold. This poem challenges the notions of domesticity inasmuch as the imagination remains free: “I’m myself but also a large black bird,” a bird that not only soars but serves as a symbolic representation of the health and viability of a community. And here Osman extends the very long and complex history of African feminism, a realignment of matriarchal lineages that are subject to both internal and external definition. Here, the duality of being both individual and representative is presented as a kind of declaration of freedom and a refusal to be caught in the space of simplistic binaries. It is a searching for new definition that drives much of this work and makes it so rich. From the start this idea that everything lost will be named, and not that it will come back but live forever, is perhaps deeply emblematic of the position Elhillo’s generation takes on ideas of migration and diaspora. Like the poet herself, the journey in her poems takes on the multiple elements of her path from Sudan to Egypt to America, and we learn to name this new being, this new person, so as not to become lost. But what is critical here is that the idea of return is less at the center, less the desire as it was for past generations. 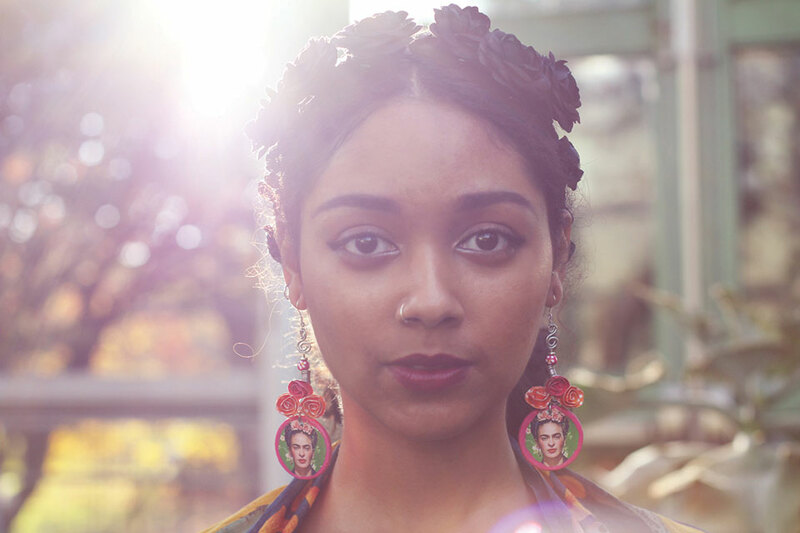 For Elhillo the new person will live on, continuing to shape the diasporic African identity, in this case through poetry that at once recognizes its deep-seeded African roots but does not engage in a nostalgia or essentialism as had been done with previous generations’ African poets. This is the new generation, insistent that Africa itself is a global and malleable concept, a small thread always sewn in the mind and heart of the sojourner, perhaps the very thread that holds it all together, despite the ways things may sometimes appear. We embody the notion that the world can change, that its axis, though formidable, is somehow malleable. something in the dark, and I was the light. their footsteps can be heard right before sunrise. I see only morning lights. He sits on a cloud. I grieve every day. open doors to read and write. She was awake. Tell me about your friends. of bullets that came afterhours. As with all things worthwhile, risk and form are at the center; the why and how, the deep-down belief that the world can only shift, even slightly, if we are the ones to push it. And so we nudge, sometimes shove; we embody the notion that the world can change, that its axis, though formidable, is somehow malleable. 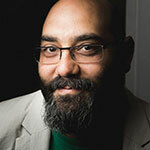 Matthew Shenoda (www.matthewshenoda.com) is the author of the poetry collections Somewhere Else, Seasons of Lotus, Seasons of Bone, and Tahrir Suite and with Kwame Dawes is editor of Bearden’s Odyssey: Poets Respond to the Art of Romare Bearden. Shenoda is currently dean of academic diversity, equity, and inclusion and professor of English and creative writing at Columbia College Chicago and is a founding editor of the African Poetry Book Fund.